Rev. 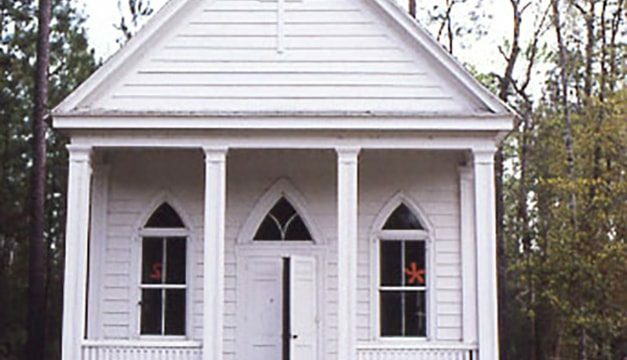 Alexander Glennie, rector of All Saints’ Episcopal Church (1830-60), established a ministry to slaves on the rice plantations of Georgetown County and eventually built thirteen chapels for them. 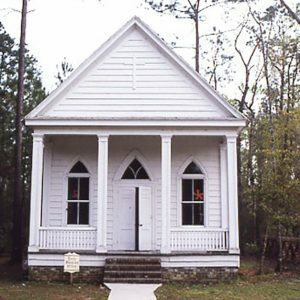 Cedar Grove (c. 1850) is the only remaining chapel of these thirteen. Originally located on the plantation of Andrew Hassell, it was moved in 1898 and in 1976. In 1985, the chapel was moved to its present location.